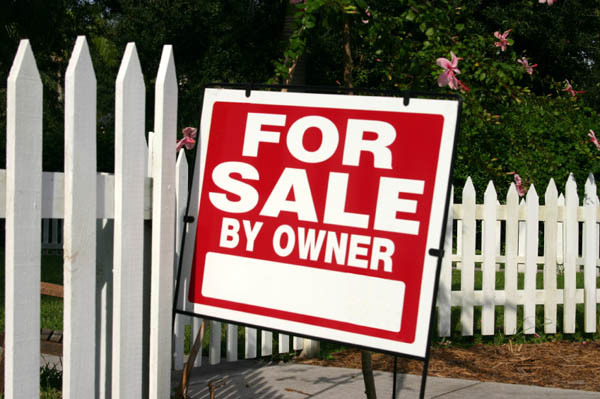 Some homeowners consider trying to sell their home on their own, known in the industry as a For Sale by Owner (FSBO). So, you're thinking of finally selling your lifelong home and moving to an active adult community? Or you live in a 55+ neighborhood already and are thinking of relocating to another one? Maybe you already have a real estate agent in mind, or perhaps you are thinking of selling your house on your own. But before you hang that "For Sale By Owner" (FSBO) sign in your front yard, here are five reasons to not list your home as FSBO. 1. You're too attached to your home and won't know the true selling value. We all have attachments to mementos, and your home, especially if it's one you've lived in most of your life, is no exception. Unfortunately, your home is only valued at the current market rate, but FSBO sellers may price their homes too high because of the time and investment they've put into it over the years. The market doesn't care that you raised all of your children in your home or that your granddaughter was married in the backyard, but a real estate agent will be able to accurately assess your house and price it accordingly, based on the market and comparable properties. 2. You can't see any shortcoming or flaws in your home. A real estate agent can, and this actually is a good thing. So, you think your home is worth more money because you added a three-garage car and a spa-like bathroom? But do you know what may detract buyers from your house? Probably not, because you've grown accustomed to any flaws. An agent, however, will help you determine if you should fix that leaky faucet, repaint rooms or do any other renovations before putting your house on the market to make it more attractive to buyers. 3. Real estate agents provide better exposure for your home. Gone are the days of circling prospective properties in the Homes for Sale section of the newspaper. These days, most buyers search online when buying a home. In fact, according to the National Association of Realtors, this was the first step for 43% in 2014. 92% use the Internet at some point in their search for a home. A real estate agent has the proper tools to ensure your home listing reaches the maximum number of people and other agents online. 4. You may not have the time or means to be accessible. Sure, you will have to pay your agent commission when your house sells, but that agent also has been working to make sure that your home does indeed find a buyer. Your agent is responsible for making sure your listing generates the most traffic, fielding inquiries from other agents, scheduling showings and open houses, and negotiating deals on your behalf. Are you able to answer phone calls from prospective buyers all the time and handle appointments to show your home? If not, that buyer will move on to the next house when you can't be reached—and you will have missed out on a potential sale. 5. Real estate rules and documents are complex. Agents know the ins and outs of all the paperwork that must be filed, from a purchase and sales agreement from the buyer to the seller's disclosure list. Sellers must disclose any and all issues with a house, or they risk being sued if they fail to do so properly. A real estate agent can walk you through all the steps of selling your home, advise you of any laws or changes and, then, help you celebrate when the "SOLD" sign is hung up.